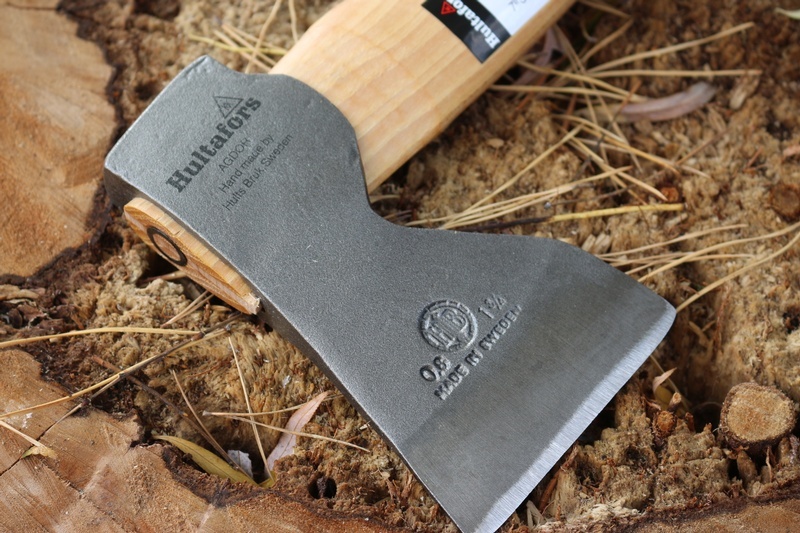 To my mind this is one of the best value axes you can buy, the hand forged head is made from High Carbon Swedish steel (58HRC) by one of the Worlds oldest axe makers, Hultafors of Sweden. A really super balance and great cutting edge, this is the curved handle version of the more expensive straight Carpenters axe, but has the same head, just a different finish and no leather head cover, and is superb value. 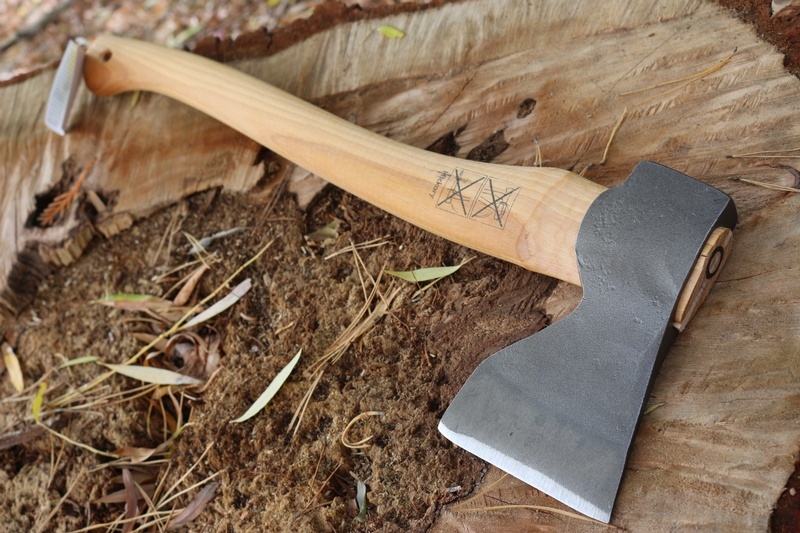 The axe is easy to sharpen with its flatter grind and has a long cutting edge (3 3/4inches). 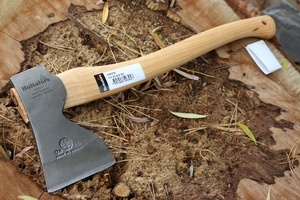 Great cutter and a sweet swing this is a compact and controllable axe, ideal for woodwork or bushcraft, this is a first rate outdoor tool. OAL 20 inches/ 3/ 3/4in cutting face/1 3/4 LB head. Hickory handle, no head cover. Made in Sweden. Purchase through PayPal by using the "Add To Cart" button above or use the form below to order the Hultafors Curved handle Carpenters Axe . Feel free to contact us if you have any questions about the Hultafors Curved handle Carpenters Axe .